Over time, the continuous movement of the facial muscles cause lines and wrinkles to develop in the overlying skin. Neuromodulators, such as Botox and Xeomin, can weaken the actions of these muscles, thereby reducing the appearance of certain lines and wrinkles in the face. Xeomin lacks the complexing protein added to Botox, although both products work similarly. Some patients prefer one over the other based on subtle differences related to the onset and/or duration of the effect. As a plastic surgeon, Dr. Blechman has detailed understanding of facial anatomy and can make expert decisions about how to use neuromodulators to improve your appearance while preserving the natural movement and harmony of your face. The goal is to provide you a youthful and refreshed look, not a frozen or strange one. Botox and Xeomin can also be used to treat excessive armpit sweating, a condition referred to as axillary hyperhydrosis. No anesthesia is necessary for treatment. Extremely thin needles are used to inject very tiny amounts of product so that the procedure will not be very painful. Injections usually take only fifteen minutes and are performed in the office. Patients may immediately return to work or attend social engagements the same day. Results typically begin to appear approximately three to five days after treatment, and usually last at least three months. Complications are rare, and are temporary if they occur. As an experienced, board-certified plastic surgeon, Dr. Blechman takes a conservative and educated approach to neuromodulators, and will discuss in detail all the risks, alternatives, and benefits prior to injection. By injecting fillers into certain areas of the face, a smoother, fuller, and more youthful appearance can be achieved. Fillers, such as Voluma and Juvederm (referred to as hyaluronic acids), can easily be used to enhance facial anatomy by augmenting the cheeks or plumping up the lips, and reducing deep folds or depressions in the skin. No anesthesia is necessary for receiving these facial fillers, as extremely thin needles are used for injection, and the fillers are mixed with a local anesthetic. Injections usually take only fifteen minutes and are performed in the office. Results are apparent immediately and may last up to one year. Bruising at the sites of injection may occur with fillers, thus it is recommended to schedule the injection one week ahead of an important meeting or event. Complications are uncommon. As an experienced, board-certified plastic surgeon, Dr. Blechman takes a conservative and educated approach to fillers, and will discuss in detail all the risks, alternatives, and benefits prior to injection. 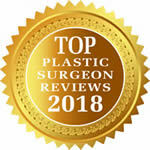 All facial fillers consultations and procedures are performed by Keith M. Blechman, M.D., an Upper East Side NYC plastic and reconstructive surgeon, Board Certified by the American Board of Plastic Surgery. 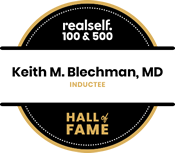 Dr. Blechman is a graduate of renowned plastic surgery training programs at both New York University and MD Anderson Cancer Center, and he specializes in cosmetic surgery, reconstructive procedures. 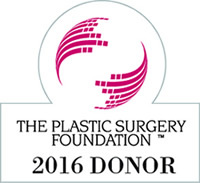 Dr. Blechman is recognized for his expertise in the field and was honored to be included on the 2016 and 2015 New York Super Doctors lists.